The friendly team at Hidden Hearing Lichfield is available to help with all your hearing needs. If you find hearing loss is beginning to have a negative impact on your lifestyle, then it makes sense to get it checked before it becomes any worse. Call 0800 019 2016 to make an appointment for a free hearing test, or fill out the form opposite, and find out how we can help. Dispensers Tony Vaughan, Craig Parker and Tracy Vaughan are all on hand to offer a full range of services, and we’re confident our friendly and welcoming attitude can help clients – both old and new – to enjoy a better quality of life. A charity evening for the benefit of St Giles Hospice was held at The Winehouse in Bird Street on Sunday 31 May. This most pleasant event was hosted by the Winehouse and arranged by Tony Vaughan Director of Lichfield’s Hearing Centre, Hidden Hearing. This was the culmination of much hard work specifically by Tony, his brother David and nephew Neale, who have now raised over £17,000 in six months for the hospice, who have centres in Walsall, Whittington and Sutton Coldfield. If you struggle to hear in busy social gatherings or have to turn the television or radio up load, we can suggest solutions to help. It may be that you require a hearing aid, and if so then you could find a suitable device amongst our extensive selection, which incorporates the latest in technology from some of hearing healthcare’s best-known manufacturers. Rest assured, though, that we recognise every customer has different needs, and different budgets, and will recommend the best aid for you. Our lifetime aftercare programme makes wearing a hearing aid even more affordable, and don’t forget that if you’re unable to visit us in-branch, we can also arrange for one of our trained staff to visit you at home to provide a comprehensive hearing test. 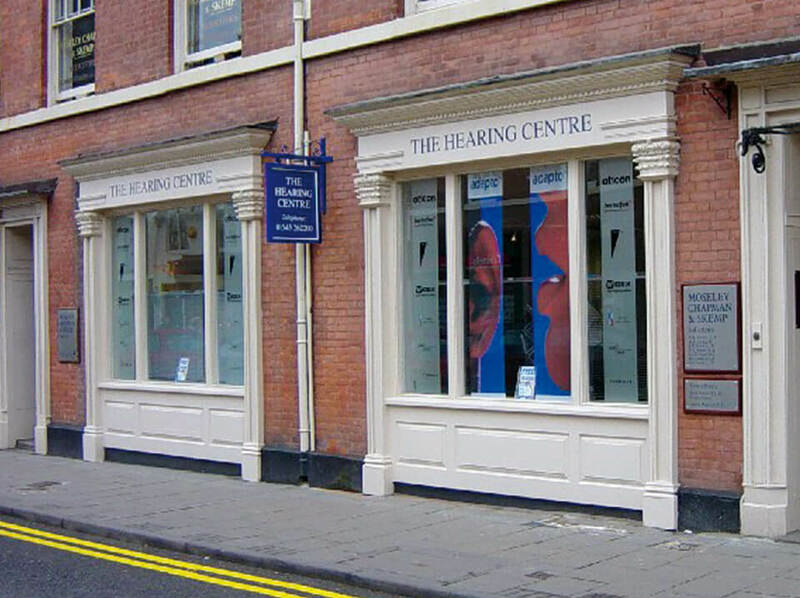 Situated on Bore Street in the historic Cathedral city of Lichfield, our hearing centre is close to shops and car parks, and is also well served by public transport.